Basalt is a dark, almost black, volcanic rock. 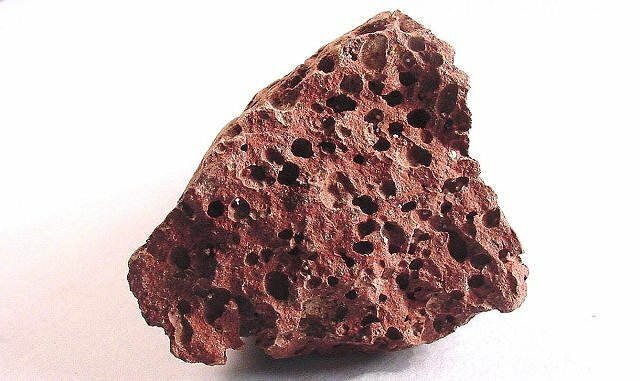 Because it often erupts as very fluid lava flows, it is fine-grained (aphanitic). 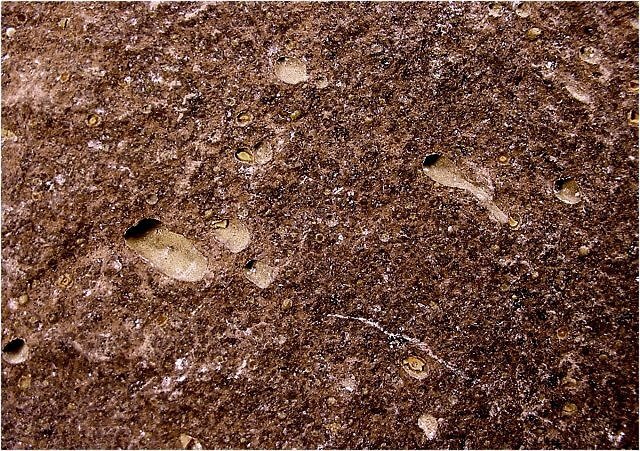 Basalt may often have gas bubbles in it. These holes are called vesicles. 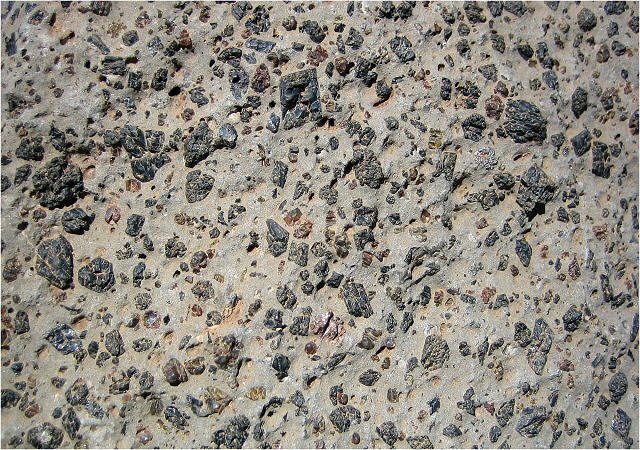 Basalt with vesicules is called vesicular basalt. and the basalt is known as amygdaloidal basalt. 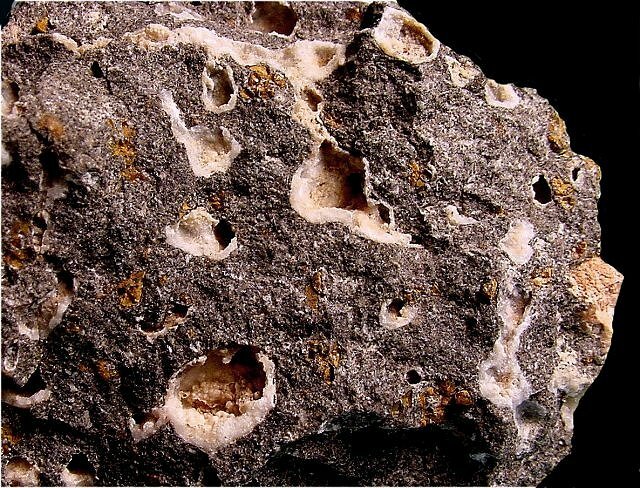 In this basalt the vesicles are completely filled in. 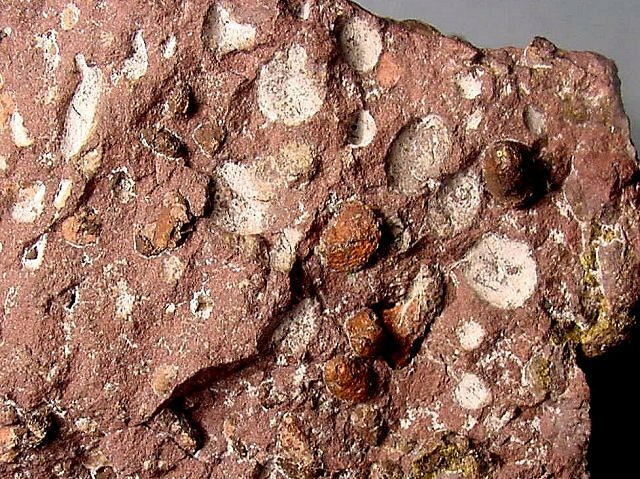 The amygdules are made of the mineral thomsonite. 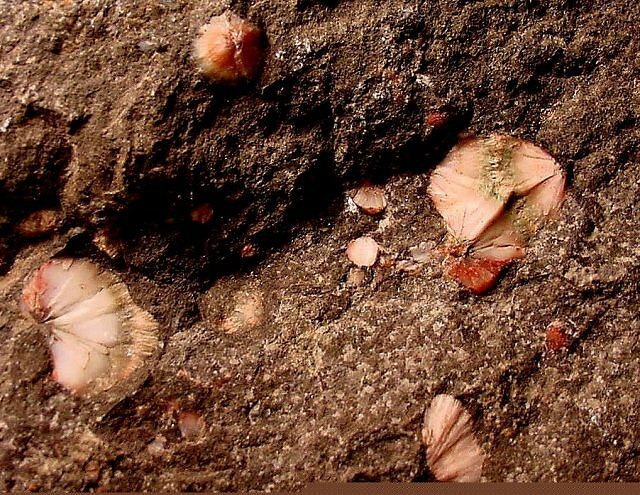 Some of these vesicles are filled in with native copper. This specimen comes from the Keweenaw Peninsula in Michigan. 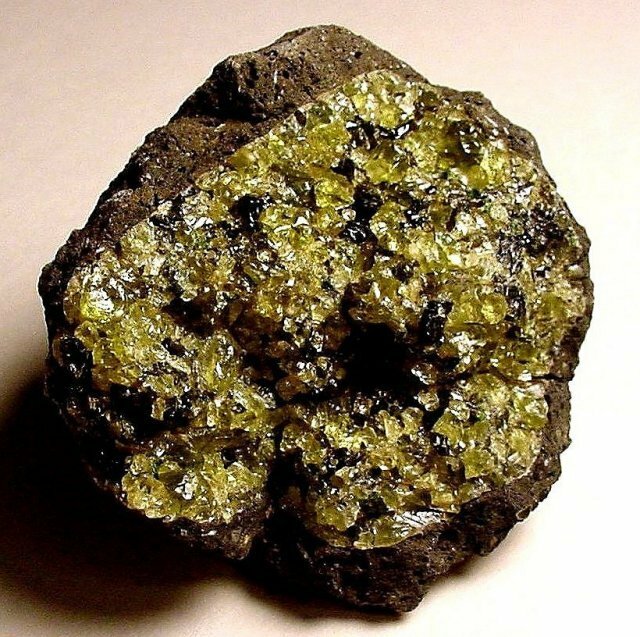 Basalt is also known for the presence of a yellow green mineral. olivine. This specimen is from the San Carlos Indian reservation in Arizona. 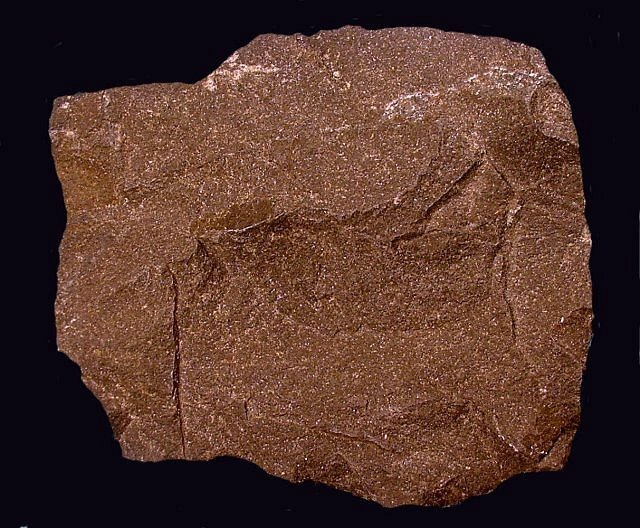 Basalt weathers the faster than all other igneous rocks. 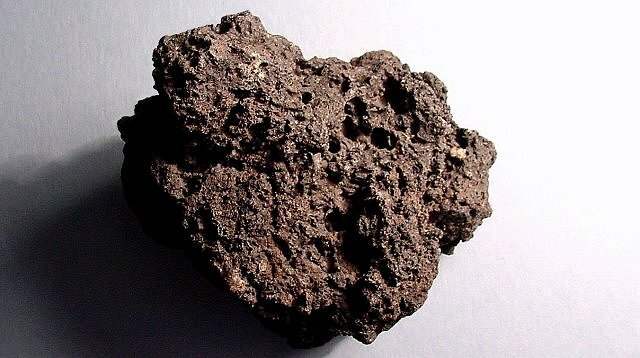 due to the presence of the mineral magnetite. 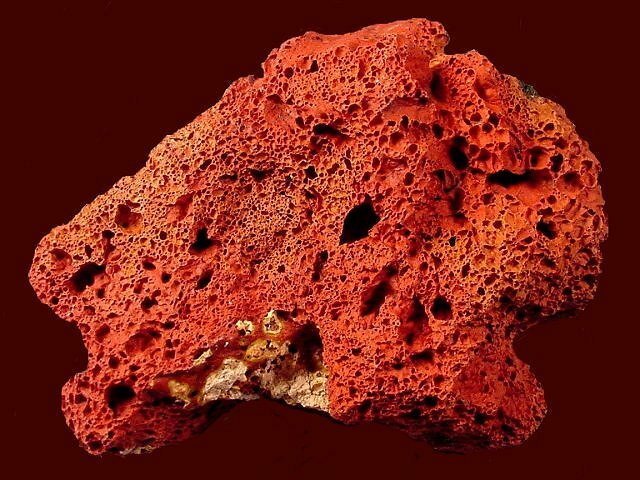 Scoria, because of its large surface area, can weather to a bright red color. 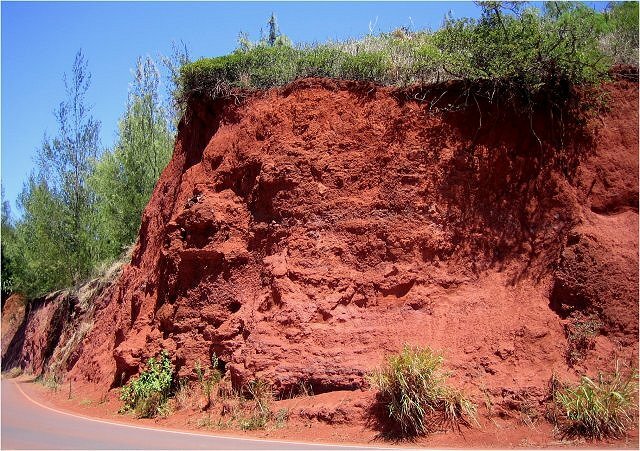 Here is a road cut in Maui, Hawaii where the basalt has weathered to a bright red. This is a close up view of a weathered basalt that is loaded with magnetite crystals. This specimen is from the top of a large shield volcano, Haleakala, on Maui in Hawaii.